Closely tied to the mission of the Heritage Area is the protection of its greenspace, monadnocks, and historic buildings. Since the Alliance was created, thousands of acres of land have been added to both Davidson-Arabia Nature Preserve and Panola Mountain State Park for the enjoyment of the public and the protection of a fragile ecosystem. The Monastery of the Holy Spirit has placed conservation easements, which insure that lands and streams will remain managed in their natural state for generations, over much of the 2,000+ acres they call home. And, the Alliance works closely with the State Historic Preservation office to place historic buildings on the National Register of Historic Places. A nomination for the city of Lithonia is pending and the Klondike district was listed a few years ago. Scroll through the pictures here to learn more about some of our special places worthy of protection. 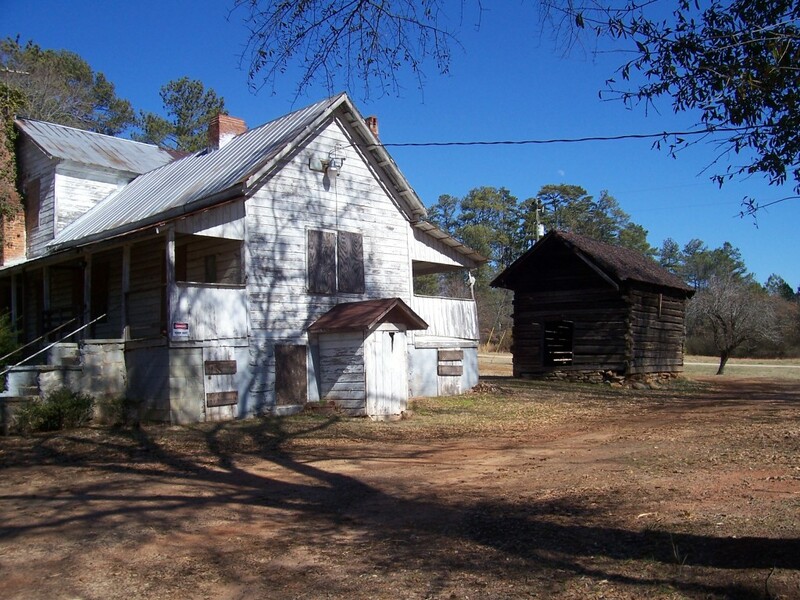 The Lyon Farmhouse and Smokehouse, possibly the oldest structures in DeKalb County.